Note: This post originally appeared on Digital for Health. It has been reposted here with permission from the author. Like most people, I feel and believe that I look younger than I am—but I’m likely deluding myself. What if you could accurately measure your effective age—that is, your physiological age—and compare it with your chronological age? iHeart lets you do just that. iHeart by VitalSines Inc. measures aortic stiffness. The aorta is the main artery leading from the heart to the rest of the body. Ideally, one’s aorta should be flexible, but with age it tends to harden or stiffen along with other arteries in the body. A flexible aorta tends to dampen blood pressure spikes by briefly expanding as blood is pumped from the heart; a stiff aorta won’t do so, adversely increasing the velocity of blood flow in a way that can be measured. iHeart uses aortic pulse wave velocity analysis of blood pressure, measured at the fingertip, to calculate aortic stiffness. The stiffer your aorta, the older you are physiologically, irrespective of your chronological age. This has been well documented through clinical studies. While there are daily fluctuations, the long-term trends are what matter. According to VitalSines: “Aortic stiffness has been linked to an individual’s risk of developing cardiovascular disease and their overall health.” The good news is that aortic flexibility can be improved by exercise, diet and behavioural changes. 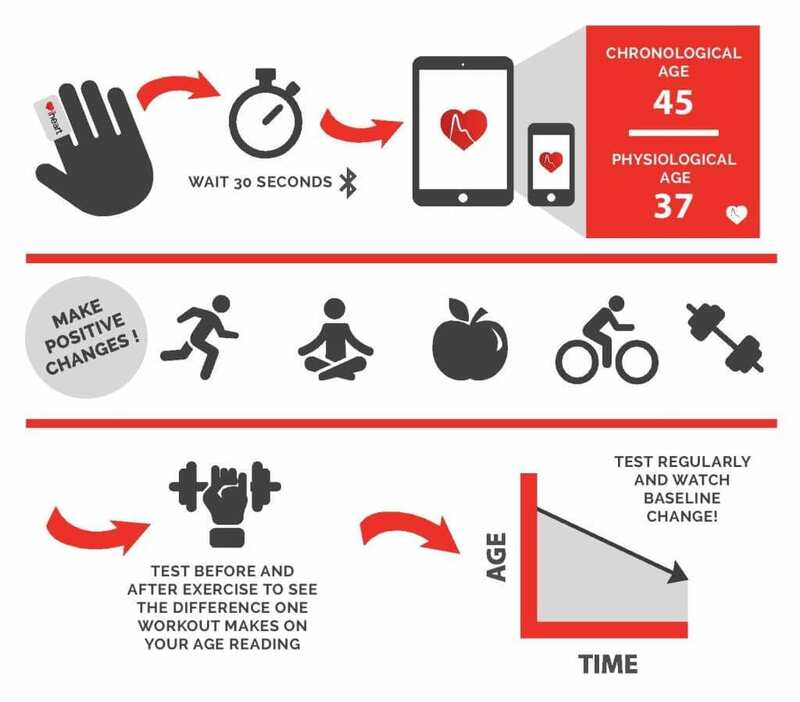 As a result, iHeart can help determine whether any program you undertake to improve your health is actually working. In the absence of an overall measure, you could be fooling yourself, so while you may be working out in a gym and looking “good,” stress, lack of sleep or a poor diet may be countering the overall health benefits you expect. 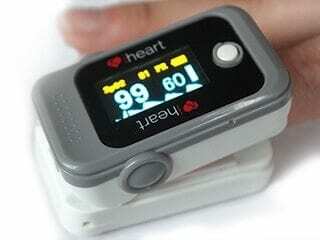 The complete iHeart system is comprised of a new fingertip pressure monitor that is connected via Bluetooth to an iOS device for data gathering and analysis, as well as a personal site in a web portal for recording and trend analysis. VitalSines is now conducting an Indiegogo campaign to fund the completion and delivery of the first 500 iHeart devices. Take a look—it could change your life!